I bought my juicer last summer because I found I was spending a lot of money on juice from places like Whole Foods, Nekter, and local juice bars. It made more fiscal sense to buy a juicer. Mine is the Breville BJE510XL The Juice Fountain® Multi Speed Juicer and I am crazy about it. 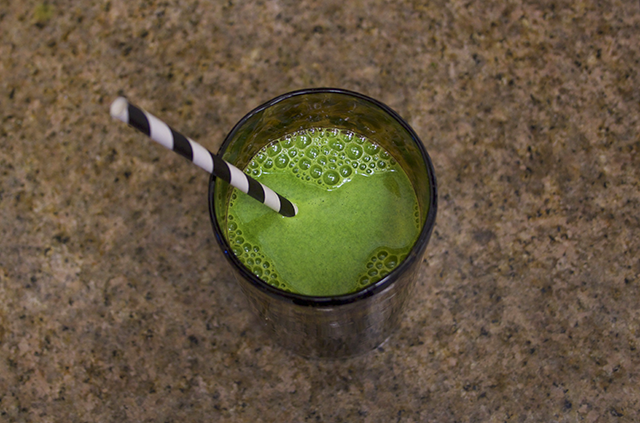 A lot of times people misconceive smoothie-blending to be the same thing as juicing. It’s not – you want to remove those fibers that make you full so you are absorbing way more nutrients and vitamins. 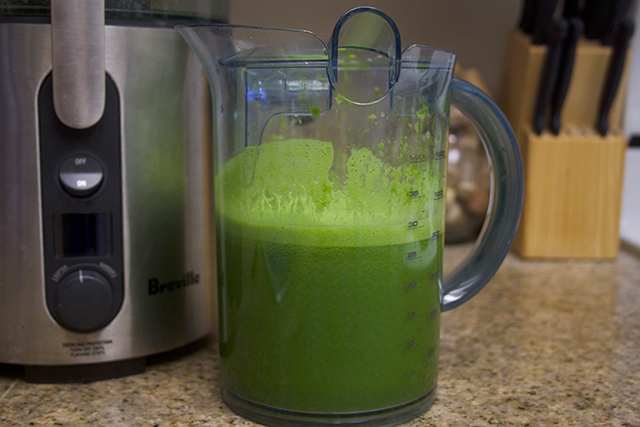 I’d say my juicer was probably one of the best purchases I made last year. I see people paying hundreds for juice cleanses and I just can’t fathom spending that amount of money! With that amount of money, you could buy a juicer and make it at home. Granted, it takes away the convenience (cleaning juicers is not a cake walk), but it’s much more frugal. 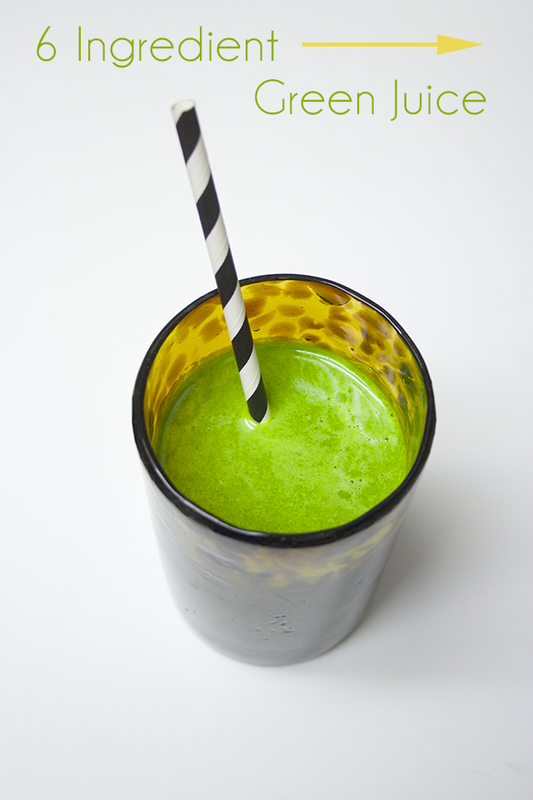 This green juice is my favorite because you only have to buy 6 ingredients at the store. 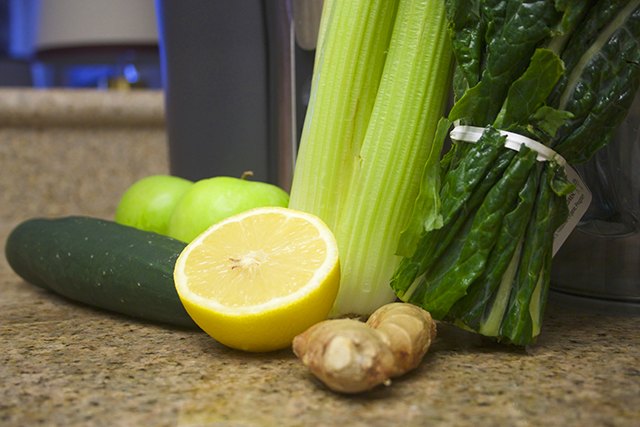 The tricky thing about juicing is if you buy a ton of fresh ingredients, they will go bad quickly. Unless you plan on juicing all at once to store in mason jars, I recommend only getting a few ingredients each trip. You can add more ginger or lemon if you prefer, (I love lots of lemon) but the apples do a fantastic job of cutting out the bitterness of the kale. Do you have a favorite juice recipe? Do share! I’m always looking to try new ones! This looks SO good and I've been making fruit smoothies lately but haven't tried Green juice. I will definitely have to soon. 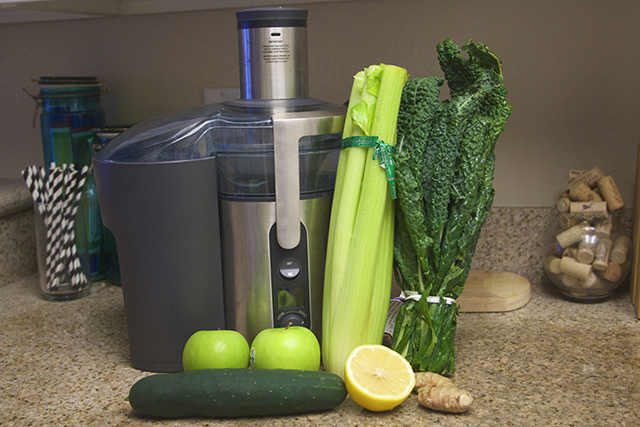 I absolutely love my juicer and especially making green juices with them. I do find celery and ginger way too overpowering and assertive for my tastes. All about the cucumber, spinach, kale, apples, and pears! I love green juice but I'm not a celery kinda gal. Would still try anything once! I find I don't taste the celery very much – but then again I don't mind it, so maybe that's why! You could alway substitute romaine lettuce :). Yum!! Ill have to try this!! Please visit my blog if you get a chance! iDiamonds \ Join our GIVEAWAY! YUUUUUUUM that looks so good!! great recipe!